Spoudazo Enterprises Trust is a registered Public Benefit Organization in Bloemfontein, SA. (PBO number: 930037272). The exemption has been obtained from the SAID income tax exemption unit in Hatfield, Pretoria, SA, 0028. The purpose of the trust is to enhance the interests of the poor and vulnerable, to further their interests and well-being by means of providing them with Welfare, Humanitarian assistance, Health Care, Land and Housing, Education and Development services. Spoudazo Enterprises has a wide range of social development projects aimed at uplifting and empowering previously disadvantaged individuals, to offer. Elbie Louw is a social entrepreneur who has optained her B. Comm degree in 1992. She started her career as a bookkeeper at a national accounting firm, and later on decided to explore her talents in marketing- and entrepreneurial arenas. Elbie serves as Executive Trustee of Spoudazo Enterprises Trust. The origin of the trust dates back to 2004 when Spoudazo was founded by Elbie’s passion to assist the poor and needy, her ability to see a need and to promptly act on it as well as her business- and leadership skills to make things happen. Subsequently the then closed corporation that focused on events coordination to raise funds for the community was converted into a trust resulting in a public benefit organization. It is Elbie’s desire is to serve the poor and the needy by building the bridge between business and community and to use the registered public benefit organization, Spoudazo Enterprises Trust, as the platform for this important integration. The origin of the present company dates back to 2004 when Spoudazo was founded by Elbie Louw. Subsequently the then closed corporation was converted into a trust resulting in a public benefit organization. Spoudazo was founded by Elbie’s passion for the poor and vulnerable, her ability to see a need and to promptly act on it as well as her business- and leadership skills to make things happen. Mr. J.A. Volsteedt, a respected and well known school principal in South Africa with a passion for children, education and the under privileged who also has a wealth of experience when it comes to education, leadership and sport. 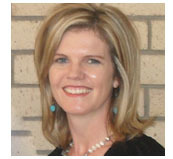 Elbie Louw who serves as executive trustee on the trust. Elbie is a social entrepreneur who has optained her B. Comm degree in 1992. She started her career as a bookkeeper in a national accounting firm, and later decided to explore her talents in marketing- and entrepreneurial arenas. It is her desire to seize life’s opportunities and use these as a platform for influencing the community and country in a positive way.